The Missing U is one of my favourite quilts from Sunday Morning Quilts. It came together with Amanda Jean's contribution and really was the start of our collaboration on the book. Right now it is living on our bed, keeping me warm when I fall asleep and soaking up the almost spring sun's warmth during the day. Because it is a favourite I was thrilled when C&T contacted me about using images of the quilt in a new product. 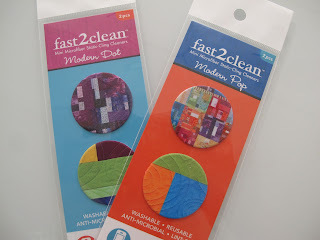 The fast2clean Microfiber Cleaners are pretty cool. At first I thought it was kind of cheesy and pointless. But they arrived right around the time I started using a certain fruit based music device. Between my fingertips and the greasy fingers of my kidlets on the face of it, the thing was a mess. Then I pulled out my handy little microfiber cleaner. Through the wonders of static it sticks to the back of the device. Then I can pull it off and clean the face every time the grubby fingerprints get to be too much. It really works well for that. I've even used it for my computer monitor in a pinch! And once I discovered that I can access Instagram through this device the whole thing gets used a lot more than for hard-core dance fests with the girls. The camera on this thing is only marginally better than my cell phone and I'm still trying to figure out even some of the potential, but feel free to follow me there for some snippets of daily life, and sneak peeks at projects that end up here. 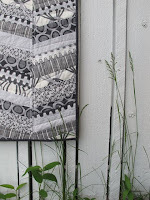 The other quilt featured is by Kim Shaefer. C&T very generously sent me extras of this product. So, if you can't find them in your LQS or don't want to order them on Amazon, try your hand at this little give-away! Leave a comment on this post between now and Sunday 11:59 pm MST for your chance to win. Make sure I have a way to reach you by email through your profile or comment, I'm not going to chase down no-reply comments. Tell me your favourite colour to work with or live with. Or point me in the direction of some favourite photographs. Or just say hi. I will pick 4 winners and and send out a pack of these little treats next week. That is so fun that they used your quilt for the image. I too have fruit related devices that could use this. I can see why you were hesitant at first, but they do seem like a really functional item. And "fruit related device" just cracked me up! Sounds pretty cool! Yeah, I got a giggle out of "fruit related device"! red, red, and more red. Love it! Cleaning grandbaby fingerprints - priceless. My favorite color at the moment is red. I love those cleaners. These are cool, and really handy for these little fruity devices that accidentially get into my kids' hands. My favourite colour is green, both for crafting and for living. Thanks for telling us about these. I haven't even given them a second look, now I will. My favorite is a deep teal. Fruit based music device indeed....I will have to borrow that to use in my gr 11 chem class next week. As always an entertaining read. So cute! I'm forever wiping my fruit based music device on my pants; this would be a welcome subtsitute. 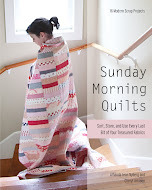 very cool to have your quilt on the product!!! Definitely ORANGE! Wish I could get over it, but I have gravitated towards it my entire 49 years!! WOuld be nice to. It use my sleeve anymore! Me me! Pick me! I need something for my horrible nursey fingerprints! I love that they used your quilt! How fun! My colors have been evolving lately it seems- I always liked blues, but lately I've been drawn to reds! One of my favorites in the book :) right now I'm loving yellow! What a cool little thing! Thanks so much for the give away. Love the quilt design concept. Well, I love orange. But I'm really starting to enjoy living with aqua. And why did it take me to long to decipher "fruit based music device"? I guess I love all colours and lately I am drawn to orange and pink and red all together. 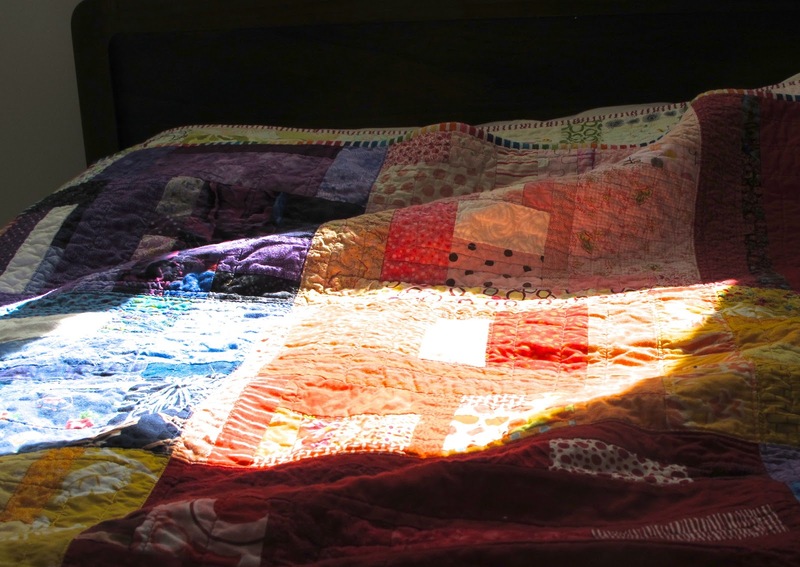 How cool to have your quilts on those dots, I would love one, thanks for the chance to win. Sounds pretty awesome! My favorite color to work with is gray mixed with an array of other colors..always seems to go. I always feel like I'm I'm need of more! Thanks for the chance to win!! I love to look at the photographs on 20 x 200. Very affordable art which is also lovely. What a fabulous idea. 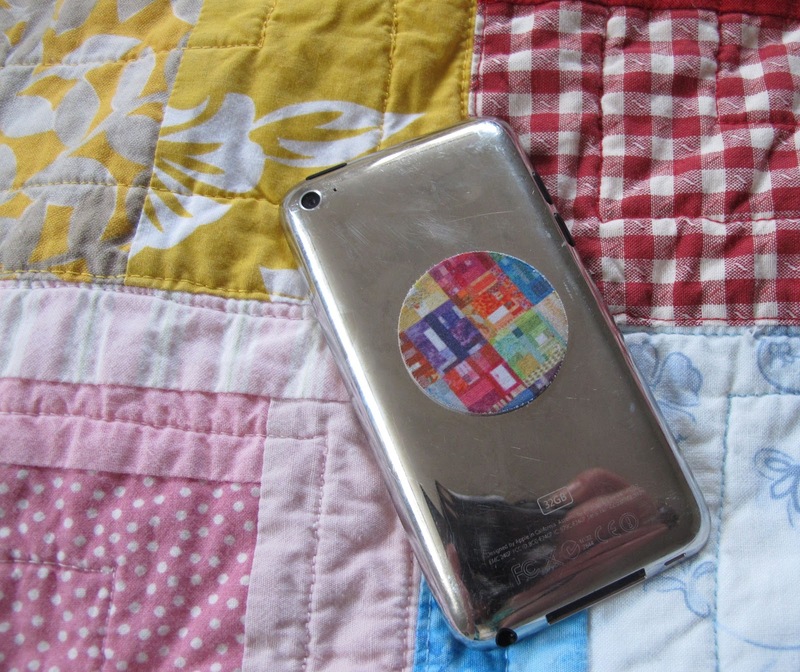 I love the part where they stick to the back of your fruit based music device. I definitely am going to look out for this product. Thanks for the review. 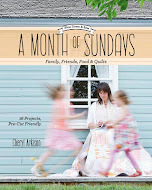 I am going to send it to all my friends via my newsletter www.notionnanny.com/Newsletter.html. I bet they will all come to your site to read the review! I'd love to try these! Great graphics, too! My favorite color to work with would be blue. 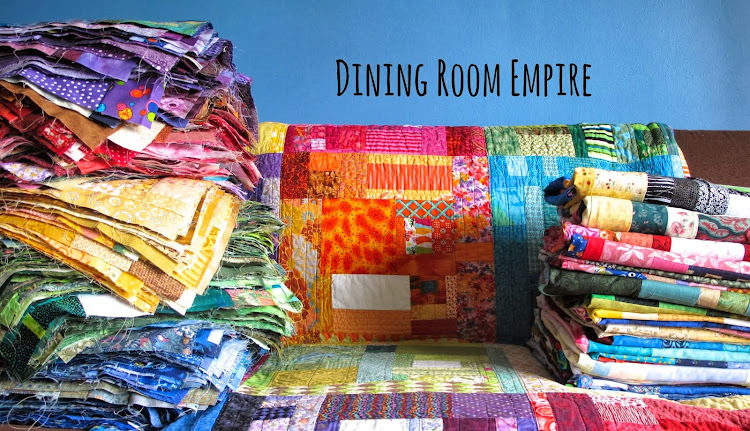 These are a great idea and so pretty with your quilt on them! I love to work with aqua. Those are pretty neat! My favorite color to live with is yellow because it's so bright and cheery. I just wish I wasn't so pale and could wear it more... Thanks! What an excellent idea! I always try to keep a few microfiber cloths around, but they always get misplaced. My favorite color is blue. Always has been, probably always will be, though I flirt with others now and then. My favourite colour is green, all shades of green are lovely. Thanks for the chance to win this clever cleaning device. Thanks for sharing. My favorite colour is constantly changing to what I have picked for my current quilt!!!! Red to live and work with. Nifty idea for a screen cleaner! Would love to use it on my iPad! I'm just now trying to figure out how to deal with so many greasy fingerprints on my kindle - these sound perfect. I love those things! I keep a large pink microfiber cloth in my car to clean my iPad and Navigation screen. These would be great for the phone and the bonus of them being in quilt patterns is so much fun! Thanks for the giveaway! Making my first quilt from your book and loving working with a multitude of colors! It has been so fun using my stash. No real favorite color.... like 'em all! Thanks for the giveaway! Very cool they used your quilt image! My favorite colors to use in quilting right now are bright, saturated yellow, lime, hot pink, turquoise, ... you get the idea. Pair these with Kona snow and I am a happy quilter. I'm really curious about these? I'd like to try them..might have to buy some. well that is if I don't win some? I think thats awesome they used your quilt image. I love the color orange. Its found everywhere in the things I bought/buy for the girls. But I like all colors bold bright and vibrant. I think its remnants of growing up in the desert where everything seemed felt so monotone...white and beige!